In today’s B2B marketing landscape, marketers are facing constant change driven by shifting customer demographics, ever-increasing access to information, sophisticated new technologies and a growing social web that’s on track to be tomorrow’s internet. Customers, prospects and brands have an unending relationship made up of interactions that span far beyond those that marketing can control, and the rate of how quickly a brand can transform based on those interactions creates a chaotic environment. One thing is clear though, it’s a customer-first world. Within an agency, there is a distinct flavor of chaos. Looming deadlines and managing all of the moving pieces it takes to meet those deadlines can consume someone in a client services role. Plus, there is a constant demand for new ideas, reporting, and analysis on past or ongoing campaigns and starting the next project before the last one ends. In this whirlwind, it could be easy to forget that customers come first and instead, focus merely on the deliverables at hand. 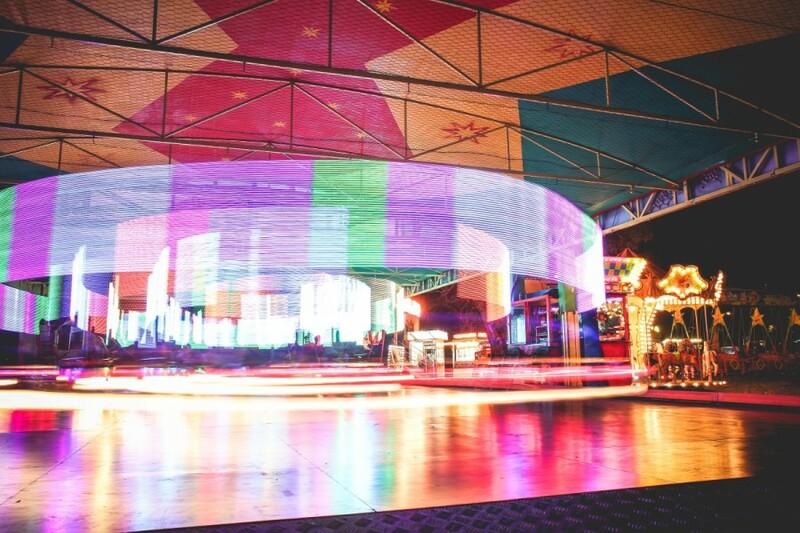 As the chaos spins around you, however – not unlike a sadistic amusement park ride – it is critical that agency representatives focus not just on the latest project but also on making sure that the basic pillars of healthy client relationships are maintained. While the idea of being a good listener seems simple, it can be challenging when you’re working in the fast-paced, deadline-driven environments in which many of us work every day. This first pillar is critical to the relationship, though. When preparing for client meetings, agree beforehand with your internal team as to the specific roles during the meeting. For example, who will be designated as the primary note taker? Who will lead the discussion and provide next steps? Having clear roles allows others to focus on the discussion and on listening to any client requests and responses. Close the door to your meeting room. If your workplace is like ours, there is generally buzz from nearby meetings and conversations that can be distracting. Shut the door to give your client 100 percent of your attention, and catch up on which co-worker won the latest foosball round after the meeting. Let the client (or fellow team members) finish their thoughts before you start mentally preparing your response. Doing this allows you to be fully present in the moment and ensures you do not cut off someone else’s train of thought. Be okay with a moment of silence to think about your response to ideas being proposed. My experience is that clients are more willing to “open the kimono” and share goals, objectives, and other insightful information when we have shown that we are good listeners and pay attention to the details. Prove to your client that what they say matters, and the client/agency relationship will be strengthened, especially when the client’s team consists of multiple stakeholders who may have varying career, departmental, and organizational goals and objectives. Achieving goals and objectives, whether it’s generating more revenue (almost always), more leads for the sales team or improving the relationship between the marketing and sales organizations, is always more achievable when there is a true partnership between the client and agency teams. Both bring a lot to the party – the client having the knowledge of the business, products and solutions, internal resources, past wins and current obstacles, and the agency having the ability to access problems and opportunities from an outside perspective, bringing an objective voice to meetings without needing to navigate delicate company hierarchies, and access to technology experts with a broad range of technological knowledge. When both sides provide input, you can utilize everyone’s strengths to get to the best end result. The most successful accounts I have managed came about when the client viewed us not just as an agency but as an extension of their internal marketing team and truly a partner. A few years ago, my peer and I were finishing up a meeting when the client referred to us as a “vendor.” While trying to keep my business ‘hat’ on and not feel offended, it was telling to me that we had more work to do to solidify the relationship and their view of us as part of their team. One advantage that an agency brings is the wealth of knowledge available. The knowledge that comes from managing accounts from varying verticals and audiences to always being on the forefront of the latest marketing programs and platforms. In addition to technology, the agency team can offer streamlined processes that have been successful for other clients and is sometimes a missing component of the client team – usually because of a lack of client resources and bandwidth. Just one area of the ‘wealth’ is our bank of templates (created and perfected over the years) that are readily available and help make getting new programs in to market more quickly. Being able to obtain an asset from the client and quickly turn the available information back to the teams in the form of creative briefs and timelines can shave days, if not weeks, of time and ensure that the details have been captured correctly. Plus, assigned resources know their tasks and due dates and there is agreement from the client on immediate next steps, critical milestones and areas of potential risk to making deadlines. While jumping straight to the celebrating would be great, it’s important to start by defining how you plan to measure success, and this needs to happen sooner than later. If not defined, success can easily mean different things to each team and even different stakeholders within the client team. To an agency team, success may be considered as staying within budget and launching the campaign on deadline. To a client team, there are typical expectations of return on investment with marketing qualified leads, an increase in activity and last but certainly not least, an increase in revenue. Get together and talk about success. Set up specific goals for a project or campaign and measure against them regularly. Keep in mind that qualitative measures of success are a great addition to the quantitative ones in order to get a more complete picture. Define and agree on what success looks like upstream, so both the client and agency have something to rally around, strive for and hopefully celebrate! And don’t forget to celebrate. Everyone gets busy, and there is always a new project to worry about, but taking a few minutes out of your day to reflect on your wins or throwing out a virtual high five, can make a world of difference.